Click on the chapters one by one as you read them. The promise of God is the Holy Ghost. Jesus did not die for us to be controlled by the letter. God gave a book of the law (the bible) once under the old covenant but we being flesh were not able to keep God's spiritual laws. Today He writes his laws by his Holy Spirit in our hearts and minds and gives us the power to do what he tells us by this same Holy Spirit. In less modern times, most people could not even read. Even now many people are illiterate. Written laws have to be translated and interpreted. But when God speaks to us by His Son Jesus through the Holy Spirit, the clear meaning comes through. We can have faith in the living Word of God. No man can say Jesus is Lord except by the Holy Ghost. The promise of God is the Spirit. To be reconciled back to God is why Jesus shed his blood on the cross. So we can walk and talk with Him, and become the living temple of God. Through the Holy Spirit, we can see visions and dreams, have revelations and hear the voice of God. Let him that has an ear, hear what the Spirit says to the church. We cannot have Faith in the bible, (it will fail you). We must have Faith in God who is a Spirit. His Faith will never fail you. When you reject the New Covenant of being led by the Holy Ghost and instead take the bible for the Word of God. Then you have committed the abomination that makes desolation again (like the Jews did when they crucified Jesus). 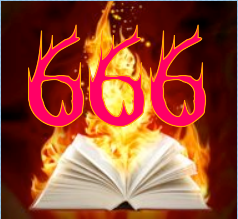 The bible is the mark of the beast. This angers God and He will not accept you with the mark of the beast in your hand or in your head, it means you want the flesh and not God who is a Spirit. Read the entire manuscript here! The entire manuscript is available here on this website. You are welcome to read the pages for free.